Everything feels different. The clutch lever pulls in too easily. The seat doesn't sit the same. The gear shifter is not where I expect it to be. The rear brake pedal doesn't depress the same way. The handlebars are too wide. My feet don't rest where they should. It's been 3 1/2 months and 8,500 miles since the Honda ST1300 has become my main ride. And all this time I've largely ignored my Yamaha Road Star. Yesterday I wondered if it would fire up. I should have been riding it more often at least to keep the battery charged. I put it in neutral, applied the choke, turned on the ignition. I reached for the starter button. Would I would hear nothing? Or maybe just hear some clicks, or just a few labored groans from the starter motor? Instead I had a good feeling it would fire up without a problem, and sure enough it did. From the moment I woke up that morning something told me I'd be riding it today. Maybe it had sent me a signal, like it was waiting for this day to come along and knew it was finally time to spin its wheels once again. 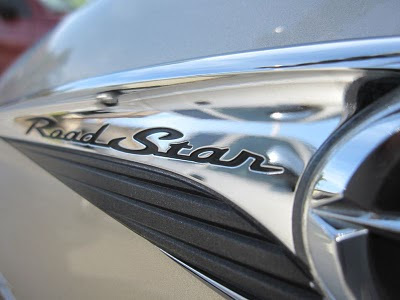 There's a lot of beauty in the Road Star's simplicity, even though technically the Road Star is not a simple motorcycle. But it's still simple compared to the ST1300. It offers only its engine, two wheels, and suspension and then gives me only what I put in. Leaving home, it sounds like a 65 year old chain smoker, hoarse, throaty, like it's clearing crud out of its system. The engine still cold, it hesitates and then darts forward, unrefined and rough, throwing my head and body backwards and forwards. I've lost touch with the temperament of its controls. About 25 miles later I reach the base of the San Jacinto Mountains, Highway 74. It feels comfortable now. The wide handlebars feel just as I remembered it, the gear shift lever is right where I expect it to be. The clutch lever feels flawless. The seat feels so comfortable. My feet are resting right where I want them. And it doesn't take long to realize that this bike doesn't corner very well with its low ground clearance, and doesn't maneuver very easily at slow speeds. Over the past 3 1/2 months the ST1300 set new standards for me in the way I expect a motorcycle to handle. In fact I sometimes wonder if the ST1300 is making me into a more lazy rider. It's so much more easier to ride that it allows me to do things I wasn't able to do on the Road Star. That's not to say the Road Star was not capable riding through twisties at high speeds, but that it demanded a higher level of skill and balls to do it. The ST1300 has a way of making an average rider look much more skilled. The Road Star on the other hand doesn't help you do anything. Whatever input you give it, it'll only give you back that much. It won't help you brake, steer, shift, or accelerate. Where your skills are lacking it'll exploit them, but where your skills are strong it'll reward you. I know the Road Star can only lean into a curve so much before the exhaust or frame drags the pavement, and any furthermore the rear wheel will start jumping. And that has only caused me frustration because I want to go faster. But I've seen guys ride cruisers with just as low ground clearance as my Road Star but yet have the skills to fly through the twisties like sportbikes. 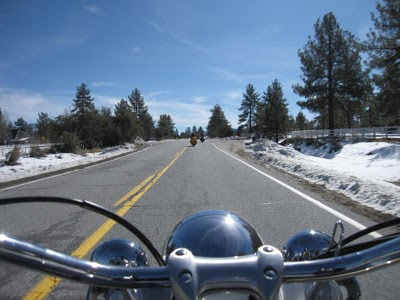 They hang their body off the side, allowing the bike to stay more upright, and then turning the handlebars into the curve instead of counter-steering. I just haven't developed those skills. The Honda ST1300 has so much ground clearance, and is so easy to handle, that I don't have to develop it. In that sense the ST1300 is a crutch, while the Road Star illustrates your skill level exactly as it is. I've entertained the idea of selling my Road Star, figuring if I'm not going to ride it then I should either stick to having only the ST1300, or replace it with a second bike that I'll actually ride. But I can't seem to identify another motorcycle that I'll actually ride and still share time with the ST1300. But after riding the Road Star again, I feel compelled to hang on to it. For one I feel like I'm selling myself short by just relying on the ST1300. 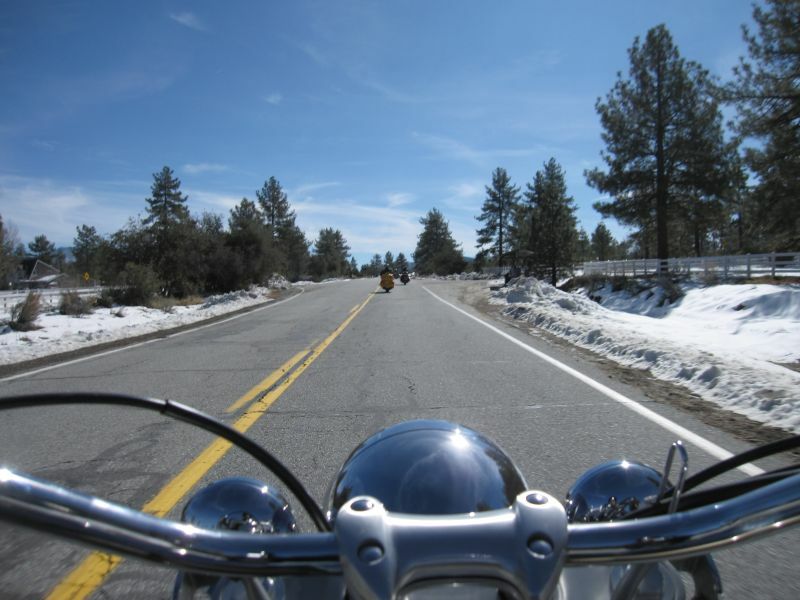 But there's also a joy in feeling the uneven rumble of the Road Star's single-pin crank, hearing the throaty roar of its exhaust, and just taking more time to enjoy the outdoors. And I still admire its classic styling. The truth is that I've gone back and forth on the idea of selling the Road Star. On those odd days when I chose to ride it, I returned home only to find myself convinced that I should keep it. And then it goes back into hibernation, sleeping for another three or four months as thoughts of selling it creeps into my mind again. Damn you Steve! You just made me want to ride the 96’ Royal Star I sold two years ago! Now I’ve got to ride three hours to see if the guy will let me ride it. Thanks. Hey, I'd ride three hours if someone was going to let me demo a Royal Star for an afternoon! You're fortunate to have two great ponies in your stall. I'm afraid to add a Connie/FJ/ST to mine - they're all just too good for other bikes to compete. The fact that the RS & ST abilities and purpose do not overlap is a good thing, but you're definitely facing a difficult decision. If you're only riding 'er 3 times a year, however, consider selling her and just renting a Harley (about $90/day) three times a year instead. Will probably cost you less than the insurance on your Star. great bike ive had 3 hardly ablesomes and like my mates allways fixing them up? the early rs are the best ,higher gearing ,wider belt,and that silver and chrome motor ,some of the best looking cho0ppers are rs,and the OM1 parts will fit for blistering performance,asked the local dealer how long will rear belt last,never sold one in 13 years.never seen one wear out .while the harleys keep breaking them due to lack of cush drive to smooth out transmission,been riding 45 years ,this is pure FUN,aint nothing arround even in 2012 thats better value for your buck. I have had my R* for a little more than a month and I love it. The classic look and feel of the bike added to the overwhelming power and deep rumble of the vance and Hines Classic II exhaust leaves nothing more to be desired. I ride my bike everyday and it has never givin me one problem or a reason to think that it might not be the best. 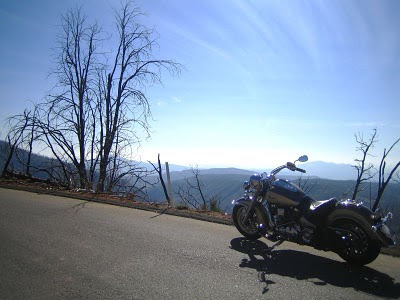 It doesnt handle the twisties as well as some other bikes but what more can you ask from a 750lb bike? I'm definitely a R* fan for life. i have a '00 R* great bikes, your description really hit the mark, the rumble, the torque, the handle, love it!!!! I have a 05 RS and love it. Custom paint and lots of chrome. My Silverado rides and handles great. Only wish it had a chrome front end. Every body thinks it's a Harley. I hope to put many miles on this bike. When I was looking to get back on a bike after 20 years I looked at a lot of bikes. I bought my 02 RS thinking it would do until I could afford an HD. After three years on it I don't look at HDs anymore. They would be a disappointment now. Love my RS, I'll never sell it. In fact I'm looking to add another to my stable, one solo the other two-up. Check out roadstarclinic.com for great people talking about a great bike. Just got a 2000 1600.. First bike ever.. Now time to learn to ride the damn thing. I love my 2000 millennium edition except for the fact lately it has expired 3 batteries in 2 months. Now its dead completely.............you all wouldn't have any insights on this issue would you? check your voltage regulator/rectifier, it may be the culprit. Or it could be a faulty wound stator (under the front right cover by your brake pedal). I changed my 99 to upgrade with a 2004 stator and regulator.rectifier combo. Never had charging problems again. I just had this problem. it's the voltage regulator; 290 usd all in. 05 was the start of the upgraded stator. If it's charging more than around 14 volts your rectifier is bad. If under 13.5 probably the stator. 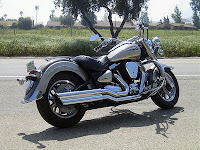 2003 midnight star, great highway cruiser, total reliability, wish it sounded like a Harley.45 mpg. Hey everybody how do I remove the seat of my 2001 roadstar 1600 when the battery is dead? just turn the key to the left uttil u get resistance; then keep turning and it should pop up. May need some lube after you get it up. It doesnt want to release if it hasnt been opened lately.